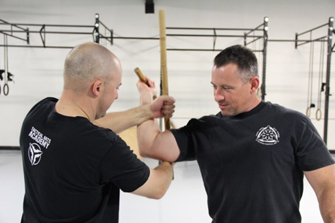 The Tactical Arts Academy combines martial arts training and advanced strength and conditioning techniques to prepare private citizens, military and law enforcement personnel to face any threat quickly and effectively. Classes in Integrated Self Defense, Filipino Kali, and Indonesian Silat, led by Tactical Arts Academy founder, Leslie Buck, a recognized expert in empty hands, edged weapons, impact weapons and firearms instruction. Study one or more disciplines to best suit your goals. The Warrior Athlete Program combines close-quarters self-defense, Filipino and Indonesian martial arts, and a highly effective strength and conditioning program to create warrior athletes. We give students the skills to face any threat and the fitness to back it up. Host a custom workshop or seminar for your group, school, or department. 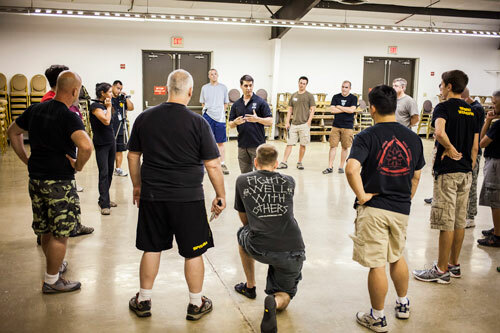 Tactical Arts seminars, taught by Instructor Leslie Buck, include topics such as Filipino Martial Arts, Indonesian Martial Arts, Defensive Tactics for Law Enforcement, or Combatives for Military. Tactical Arts is the best gym I've ever belonged to, hands down. The instructors are top-notch and help you produce serious improvement. Given the amount of individual attention, Tactical Arts is also surprisingly inexpensive. You owe it to yourself to check out Tactical Arts. Setup a one-on-one meeting to discuss your goals.